The catkins on Salix lapponum are shedding their protective sheath and adding to the feeling that spring is imminent. A native to Europe and Northern Asia; in Scotland found growing from 210-1000m and now found predominantly on cliffs. 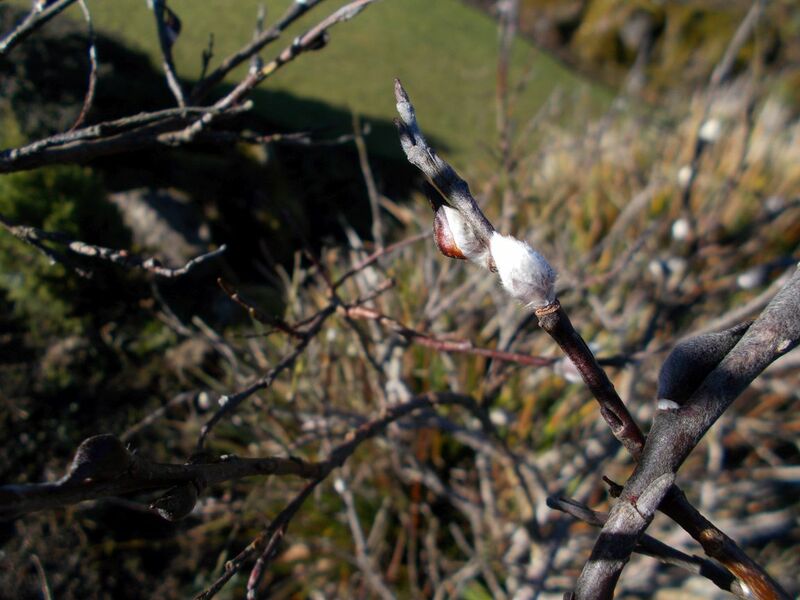 The male and female catkins are held separately on the plant, silky in appearance and to touch, Held tightly to the shoots, these appear before the leaves of these scrubby, deciduous much branched plants. The male catkin takes on a reddish hue due to the colour of the anthers.